For an experienced property developer, the technical part of building and construction is often easier than the effort it takes to build a sustainable community that is able to elevate the lives of the people. Malaysia’s top property developer S P Setia Bhd, whose portfolio encompasses townships, eco-sanctuaries, luxury enclaves, high-rise residences, commercial and retail as well as integrated mixed developments, has made such a commitment from day one. “We will continue to connect with our communities, create ecological features and sustainable living environments to enrich lives wherever we set our footprint,” says S P Setia president and CEO Dato’ Khor Chap Jen. 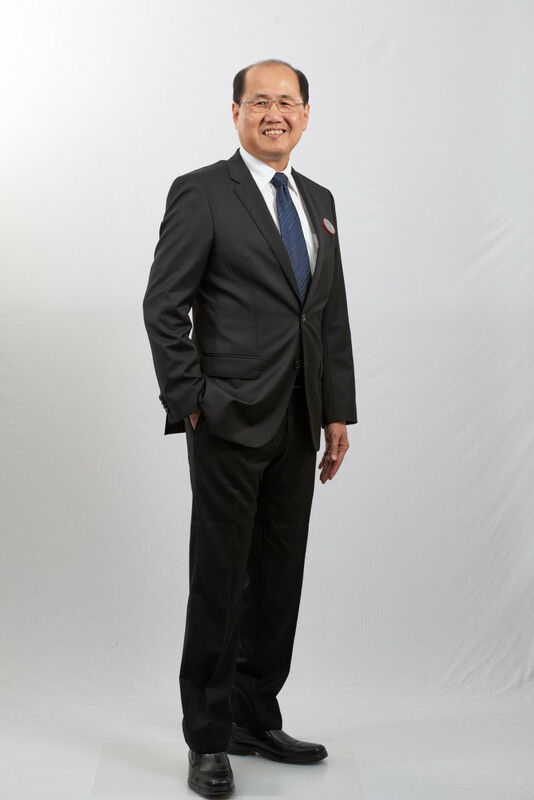 With multiple accolades to its name, including being the recipient of EdgeProp Malaysia’s Responsible Developer: Building Sustainable Development Award 2018 and being ranked No 1 at The Edge Malaysia’s Top Property Developers Awards 2018 for a record breaking 11th time, the developer has an extensive presence in the three key economic regions of Malaysia, namely Klang Valley, Johor and Penang as well as Kota Kinabalu, Sabah. On the international front, it has a presence in the United Kingdom, Australia, Singapore, China and Vietnam. • Niche developments like TRIO by Setia and Setia Sky Seputeh. The Group has also gained a bigger market share in terms of land bank with recent acquisitions and is set to launch a new township, Setia Fontaines in Penang in the very near future. Amidst the current challenging environment and uncertainties in the economy and property landscape, Khor says the group will continue to focus on what it does best – building well-planned, vibrant townships. “Harnessing the full potential of Team Setia, we demonstrate our unflinching commitment to work together as a team, united in passion and purpose, to always deliver on our goal of being the nation’s leading township developer. “We also introduced our five-year strategic plan which focuses on diversification as well as continuous growth – a strategy which will propel Team Setia towards a wider playing field and to greater heights as we aim to enhance our property management capabilities and sustain our strong financial performance,” says Khor. The developer’s geographically-diversified portfolio and varied product offerings have enabled it to mitigate its exposure to property cycles, according to S P Setia executive vice president Datuk Tan Hon Lim. “We are able to respond quickly to market changes and fulfil changing customer needs. For instance, the prevailing market condition saw us playing on our strengths as we repositioned and brought forward certain launches for the second half of 2017 and throughout this year under our mid-price landed property range at our flagship townships where the underlying demand by owner-occupiers remained favourable,” Tan notes. The first flagship township is of course Setia Alam. Home to more than 60,000 residents, Setia Alam offers them a balanced lifestyle with its parks, multifaceted landscaping, good security, a myriad of local and international schools, a host of amenities and facilities, set within a harmonious environment. “These are all the key must-haves highlighted by consumers and our customers,” he says, adding that Setia Alam boasts more than 400 acres of green areas, which include the award-winning Wetland Park and Urban Park as well as the Setia City Park. Meanwhile, over at the 791-acre high-end low-density eco-based enclave of Setia Eco Park in Setia Alam, 25% of its land is dedicated to the natural environment. Today, Setia Eco Park is also the largest freehold non-strata guarded township in Malaysia. S P Setia has also kept to its vision to build a significant affordable housing component in the township. “With our LiveLearnWorkPlay philosophy, we believe that even homebuyers from the medium to low-income groups can fulfil their aspirations for quality products and enjoy good returns on their investment. Hence, we were able to redefine the perception of affordable housing with award-winning apartments such as Seri Mutiara and Seri Kasturi; by focusing on planning, design and pre-fabricated construction,” Tan points out. The development of Setia Alam was the result of the Group’s decision to acquire a 4,000-acre oil palm plantation once known as the North Hummock Estate in 2002. Many were sceptical and questioned S P Setia’s wisdom in purchasing such a large piece of land then. “Many felt that we bit off more than we could chew. We bought it for RM600 million or about RM3.49 per sq ft with plans to develop it into a township and the rest, as they say, is history,” recalls Tan. 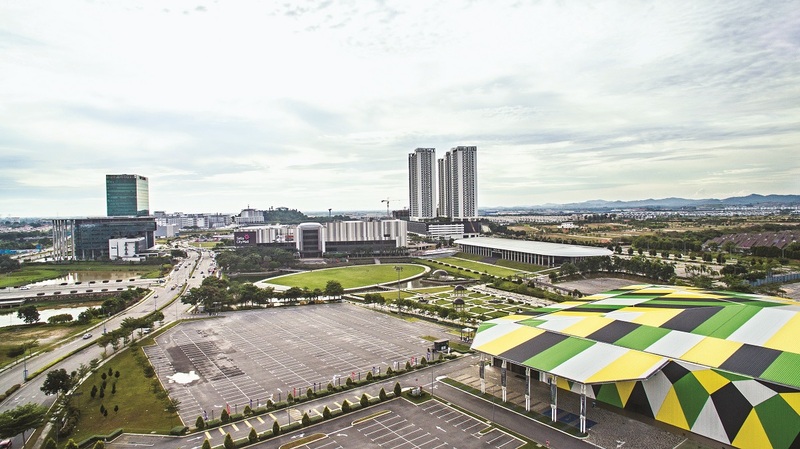 Today, Setia Alam still has 642 acres of land bank worth an estimated RM11.76 billion in gross development value (GDV). The developer’s strategy in township development was to build the right infrastructure from the start as it believes this is one of the main determinants for the long-term growth and viability of its townships. Hence, internal road networks to interchanges are built to enhance connectivity within the townships and nearby towns as well as to highways and expressways. 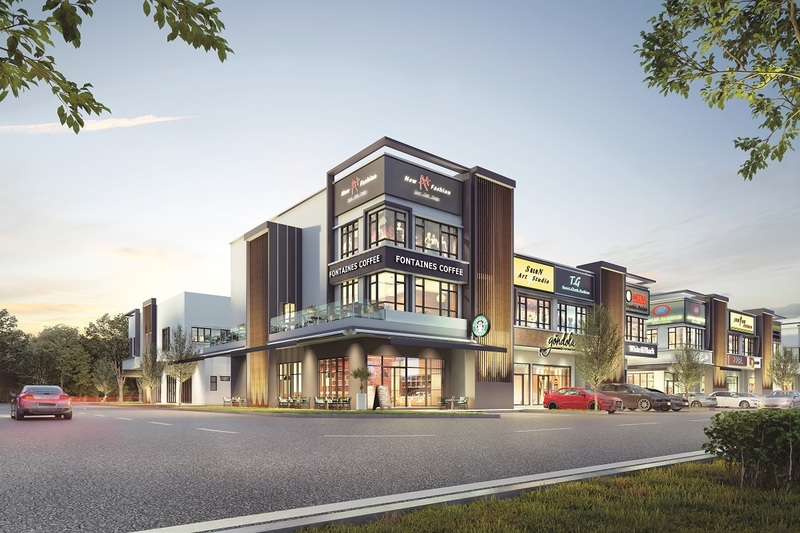 Over in Semenyih are two other flagship townships — the highly successful Setia EcoHill and Setia EcoHill 2 set across 1,682 acres of freehold land with a combined GDV of RM10.2 billion. Setia EcoHill and Setia EcoHill 2 have been designed and built around the natural terrain which consists of verdant greenery, hills, brooks and parklands. In fact, 198 acres or 10% has been dedicated to parklands. Earlier this year, S P Setia launched The Starter Home Series to give both first-time buyers and those looking to upgrade the chance to own a freehold landed residence in a thriving community. “It is certainly an underserved market in Setia Alam and with manageable built-ups that come with either three or four bedrooms plus three bathrooms, it is very affordable to purchase and maintain,” says Tan. Besides the pragmatic and spacious layouts, a unique plus point is that each home in the Starter Home series has an eight-foot backyard which is renovation-ready for future extension. Meanwhile, the first homes under the Starter Home Series at Setia EcoHill 2 was The Barras Collection of 114 units of 20ft by 70ft double-storey terraced homes priced from RM513,000. Young homeowners can purchase these landed homes for under RM500,000 after applying discounts and rebates under S P Setia’s Easy Home Ownership Package. Setia EcoHill 2 has also recently introduced the Baccas Collection. The double-storey terraced houses have been designed and will be built based on findings from the Lafarge-EdgeProp MYHOME survey initiated by Lafarge Malaysia and EdgeProp.my. The survey was conducted from Feb 28 to April 15 to find out what Malaysians want in a home. Input was received from close to 14,000 respondents. A show house of the ideal home for Malaysians was unveiled by Housing and Local Government Minister Zuraida Kamaruddin on Nov 28. Khor muses that in an industry that revolves around bricks and mortar, S P Setia is more than just a builder, as they are also at the forefront of branding in the property industry. “The MYHOME initiative is one of the many projects that have given us the distinction of being trailblazers in leading the industry with best practices, further amplifying S P Setia’s development philosophy of LiveLearnWorkPlay which is an essential part of everything that we do. “We are very pleased to be partnering with Lafarge and EdgeProp.my for the very innovative MYHOME initiative. We have worked together to cement our efforts to not only come up with the dream home of Malaysians but also have joined forces to drive the industry forward with sustainable solutions to improve the quality of living,” says Khor. 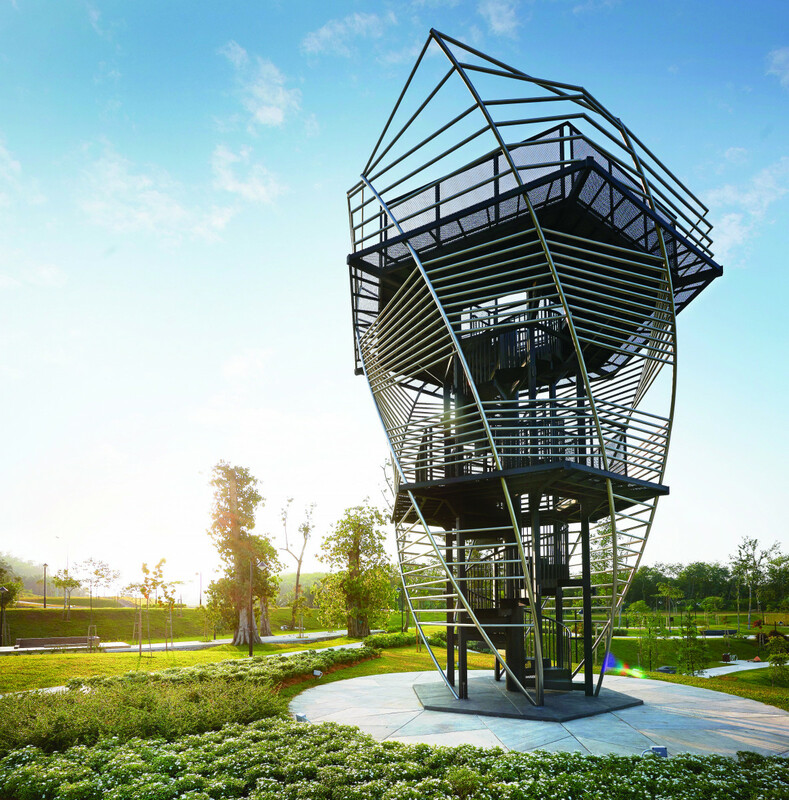 Setia’s “eco-philosophy” DNA which is evident in Setia Eco Park, Setia Eco Glades in Cyberjaya and Setia Eco Templer in Rawang. “Based on the organic growth and spill-over of people from Penang Island, we believe there is a demand in Penang for a large township development. We want to build houses in Penang set in a similar environment as Setia Eco Park and Setia Eco Glades but at very reasonable prices,” Khor says. Setia Fontaines’ commercial component will comprise the Setia International Waterfront Centre (Setia IWC) which will feature the Setia Experience Centre, Oriental Club, main clubhouse, convention centre, retail and lifestyle streets, auditorium and hotel; and the Setia Fontaines City Centre which will have serviced apartments, office towers, a medical centre, international school, shopping malls and strata shops. The developer also has an interesting plan to have water taxis to ferry residents from designated locations in the township to the commercial area via waterways as an alternative to travelling on roads. “Our DNA enables us to see the future value of the land. We want to offer landed houses set in a beautiful environment and in a convenient location. The first properties to be launched at Setia Fontaines will comprise 489 houses at the Fountain of Rinjani and Fountain of Jimbanee residential enclaves in Precinct 6, 398 houses in Precinct 1 and 111 shop offices in the City Centre Business Hub,” Khor says. Indicative selling prices start at RM330,000 for Precinct 1, RM360,000 for Precinct 6 and RM700,000 for the shop offices. As for the gated-and-guarded Precinct 6, it will comprise 1- and 2-storey terraced, cluster and semi-detached houses as well as bungalows. The size of the units will range from 24ft by 70ft for the 1-storey terraced houses (built-ups: 1,395 sq ft) and 22ft by 70ft for the 2-storey terraced houses (1,867 sq ft) to 50ft by 85ft for the 1-storey bungalows (2,317 sq ft) and 50ft by 85ft for the 2-storey bungalows (3,257 sq ft). “Backed by our commitment to sustainability and innovation, we have always ensured that our township developments are strategically located, well-connected, have ease of accessibility, good infrastructure, secured, self-sustaining and surrounded by nature. The same elements will be applied to Setia Fontaines. We cannot stop development, so the only way we can live in harmony is by designing for the ecosystem as well. All these efforts contribute to long-term sustainability,” says Khor.